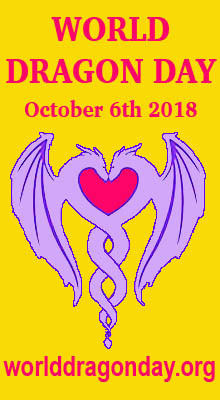 Dragons and Snakes are symbols for human DNA. Fire representing soul sparks of light emanating from the flame of creation. 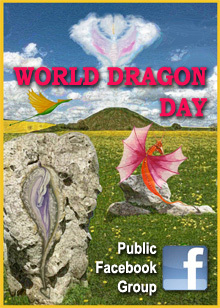 Dragons are winged beings portrayed in the ancient mythologies of most cultures. They link with winged gods from the heavens who came to Earth to create the human race and are very important symbology in the creational blueprint of our reality. 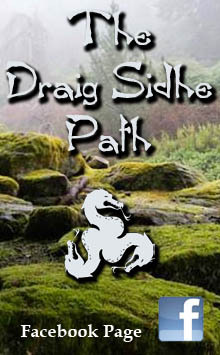 Much of dragon lore tells us that dragons were loathsome beasts and evil enemies to humankind. But dragons were born of a time other than men, a time of chaos, creation out of destruction. 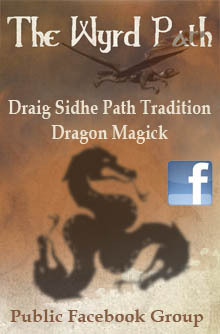 The dragon is a fabulous and universal symbolic figure found in most cultures thought the world. Guardian of the ‘Flaming Pearl” symbol of spiritual perfection and powerful amulet of luck. Chinese: “The spirit of the way”‘ bringing eternal change. The early Chinese believed in four magical, spiritual and benevolent animals; the Phoenix, the Tortoise and the Unicorn and the Dragon, the most revered of all. It holds an enormous magical pearl (DNA symbol), which has the power to multiply whatever it touches. Many legends say dragons were fabulous animals usually represented as a monstrous winged and scaly serpent or saurian with a crested head and enormous claws represented usually as a gigantic reptile breathing fire and having a lion’s claws, the tail of a serpent, wings and scaly skin. The various figures now called dragons most likely have no single origin, but spontaneously came to be in several different cultures around the world, based loosely on the appearance of a snake and possibly fossilized dinosaur remains. Mythology about dragons appear in the traditions of virtually all peoples back to the beginning of time – though dragons appeared in various forms. Among their earliest forms, dragons were associated with the Great Mother, the water god and the warrior sun god. In these capacities they had the power to be both beneficent and destructive and were all-powerful creatures in the universe. Because of these qualities, dragons assumed the roles taken by Osiris and Set in Egyptian mythology. By the time of the early Egyptian period a considerable dragon- and serpent-worshipping cult had developed. This cult gradually spread to Babylon, India, the Orient, the Pacific Islands, and finally the North American continent, as more and more cultures began to recognize and appreciate the special powers and intelligence of dragons. The cult reached its peak during the days of the Roman Empire and disappeared with the advent of Christianity. The dragon’s form arose from his particular power of control over the waters of the earth and gave rise to many of the attributes singled out by different peoples as the whole myth developed. They were believed to live at the bottom of the sea, where they guarded vast treasure hoards, very frequently of pearls. Rain clouds and thunder and lightning were believed to be the dragon’s breath, hence the fire-breathing monster. The significance of the dragon was its control over the destiny of mankind. As dragon mythology developed in the western world, dragons came to represent the chaos of original matter with the result that with man’s awakening conscience a struggle arose, and the created order constantly challenged the dragon’s power. This type of dragon was considered by many to be the intermediate stage between a demon and the Devil and as such came into Christian belief. However, in the Eastern world the dragon adopted a rather different significance. He was essentially benevolent, son of heaven, and controlled the watery elements of the universe. Dragons have been an integral part of the culture of the Chinese, Koreans and Japanese peoples since the beginning of recorded history. In China they are used to mark the stairways over which only the Emperor could be carried. In Japan they are used in Buddhist temples both as decoration and as fountain heads for purification before worship. In many cases the dragon is combined with the phoenix to symbolize long life and prosperity. It is also combined with the tiger to represent heaven and earth or Yin and Yang. The male dragon holds a war club in its tail while the female dragon holds a sensu or fan in its tail. One of the problems lies in that you cannot always see the tail or tell the difference between the fan or the war club. The Chinese dragon is a central figure of both good and evil in their fables and legends. According to the Chinese the dragon originated in their middle kingdom and has always had five toes. The dragon by nature is a gregarious creature who wanders the earth. However, the farther it goes from China, the more toes it loses. Hence, when it reached Korea it only had four toes and by the time it got to Japan it only had three. This also explains why it never made it to Europe or the Americas in that by the time it got that far it had lost all of its toes and could not walk. The Japanese account of the dragon is very similar to that of the Chinese. The Japanese also believe that the dragon had its origins in their country. Again they know that the dragon has a tendency to travel and the farther it travels, the more toes it grows. By the time it reached Korea it had four and by the time it got to China it had five. Again this is the reason it never made it much farther than China. It kept growing toes and could not walk any further. The Koreans tell a similar story of the dragon. They of course know that the dragon began with them. Probably just like they know that karate began in Korea. The Korean dragon has always had four toes. When the dragon travels East or North, it loses toes. When it travels South or West it gains toes. This explains why the Japanese dragon has three toes and the Chinese dragon has five toes. It also explains why the dragon never made it to Europe or the Americas. As it traveled West to Europe, it grew so many toes that it could no longer walk. As it traveled East to the Americas, it lost all of its toes and could no longer walk. The Western type of dragon has been variously described, and individual dragons had their own unique forms. They appeared to be created from parts of various creatures, with the result that in general, they were described as having eagle’s feet and wings, lion’s forelimbs and head, fish’s scales, antelope’s horns and a serpentine form of trunk and tail, which occasionally extended to the head. The destructive powers of the dragon derived from it’s fiery breath, which can devastate whole countries. Dragon’s eyes also have this fiery red quality, sometimes believed to reflect the treasures they guarded. Later traditions believed that misers would assume the form of dragons by constantly gloating over their treasure. The dragon is supposedly the enemy of the sun and the moon, both in Eastern and Western mythology, and is believed to be responsible for eclipses. These occur when the dragon is attempting to swallow either of the heavenly bodies; which accounts for the dragon’s appearance in primitive astronomy. In Armenian traditions, the fire and lightning god had powers to stay the dragon’s control of the heavens, as could thunderbolts in Macedonian myth. A dead man was thought to become a dragon, while dragons were believed to be the guardians of treasures in burial chambers. Because the dragon was the natural enemy of man, his death became the ultimate goal, consequently there are innumerable battles between gods and dragons, saints and dragons, and in the medieval world, knights and dragons. In Greek legends, the dragon fought on the side of the Titans and attacked Athena, who flung him into the heavens, where he became a constellation around the Pole Star. Hercules encountered, and killed the dragon Ladon while fulfilling his eleventh labor. In Scandinavian literature, Beowulf was slain by a dragon. 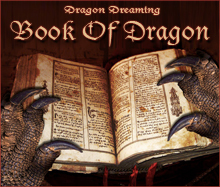 This entry was posted in Dragon Myths & Stories and tagged African dragons, Armenian dragons, Chinese dragons, DNA, dragon pearl, dragons, Egyptian dragon, Greek legends, Japanese dragons, Korean dragons, Macedonian myth, serpent worship, Titans, western dragons. 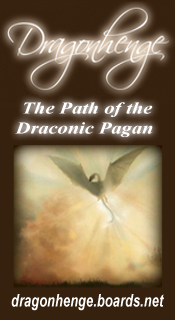 ← Dragons: Mystical Creatures or Reality?